First of all, how have I just noticed that these lipsticks are now discontinued?! Couldn’t find them in Boots or Superdrugs so had to resort to eBay. You can find them half price or more than the RRP. Those who have seen my Instagram would have seen this photo but the filter had made it brighter than it really is. This is a wonderful burgundy, wine, bordeaux shade with a slight plum, cool undertones. Not really plum to be honest. Great for the Autumn Winter season. I’m pretty certain that this is the shade I’ve been specifically looking for. This will suit most skin tones but I think lighter skin tones may have trouble with this as it is a dramatic shade which may or may not be to your taste. 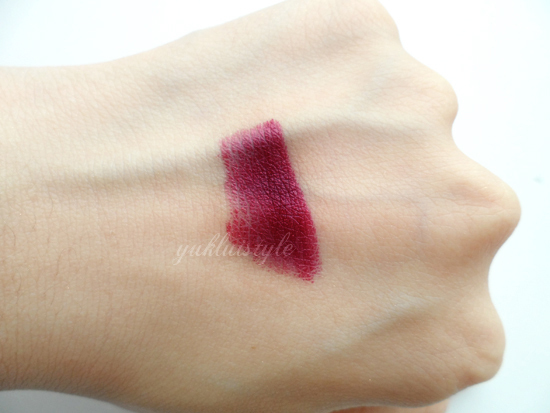 The lipstick looks dark but when you swatch it, it isn’t as dark as the actual lipstick. One swipe of this and you get great pigmentation. You actually can build it up to be darker if you want it to be more “vampy” looking. You can apply this with a lip brush if you’re looking for a shade that is a tad lighter than this. There are tiny shimmers in it but it’s not that noticeable and has a slight gloss finish. 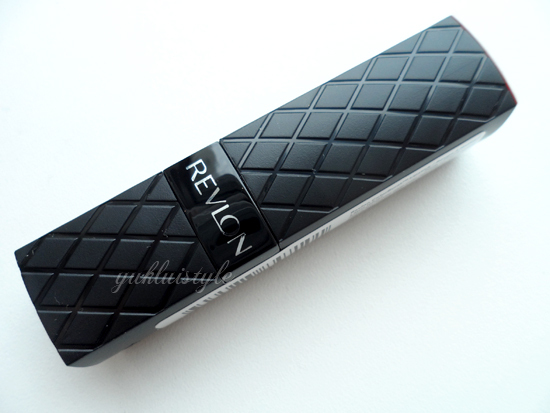 Because of the shade, it can be hard to use especially when I have a defined lip shape. The rounded shape of the lipstick doesn’t make it easier. A lipliner is definitely needed for this! It did cling onto the dry parts and into fine lines, emphasising them. But if you exfoliate and moisturise before hand, it’s a great lipstick to use since it is creamy and applies smoothly. The wear is pretty good. I’d have to reapply and blot around 4 hours after. It is a slightly moisturising lipstick yet not drying at all. The packaging is chic and lush! Need I say more. I actually love this lipstick and is a dramatic shade for me. I need to start getting use to it first. A little goes a long way with this. If you want to learn how to keep the berry lips long lasting, watch this tutorial here. It’s a great tutorial from the House of Fraser. 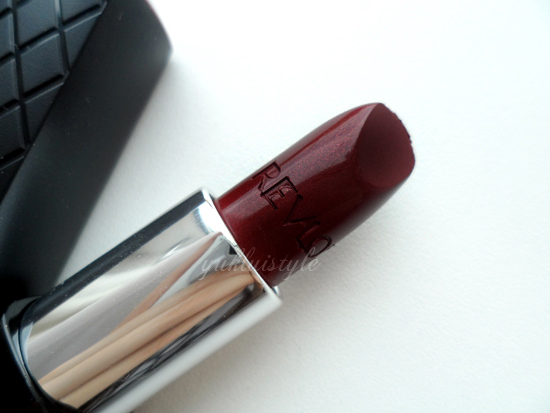 Have you tried any Revlon ColorBurst Lipsticks? The last photo is simply fantastic .. ! i love everything…the lipstick design, the colour…Im just triing to havetime to review some of my make up. All i do is test and reviewing hair products ad skin care products…and im a make up artist but partnerships in make up are hard to find ..
this shade is gorgeous, and i love the photos with the mask! my! It looks so good on you! matches your hair color too. just about right for autumn! i love the color on your lips, it looks elegant even if it looks too dark. i think it blends on your skin color. It's so lush! How have they discontinued this?? You got it for such a good price though! I haven't used Revlon ColorBurst Lipsticks. But I really love the colour of this one. I almost never find dark tone lipsticks that I actually like. Gaahh just when I saw a perfect shade and it's already discounted. this is such a beautiful lipstick! perfect, i have that shade as well. One thing I love about it is that it stay longer than other brand. Don't have details idea of lipstick but seems like it's a nice one.